Zantac, also known by the generic name ranitidine, is an H2 blocker that is available both by prescription and over the counter. 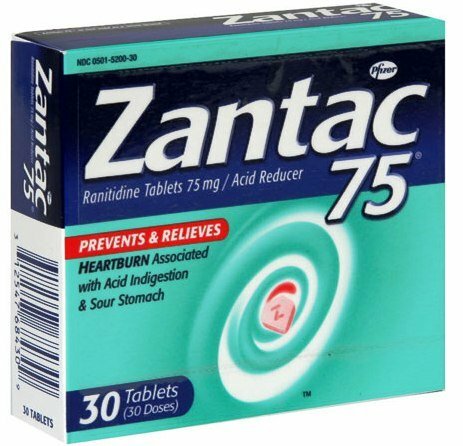 Zantac (ranitidine) blocks some of the body’s histamine receptors. Histamine receptors in the stomach cause the production of acid. When Zantac blocks these receptors, it effectively reduces stomach acid. This provides relief from many of the painful symptoms and conditions associated with excess stomach acid. Zantac is available in liquid, capsule and tablet forms. Most patients are given a dose of 150 mg or 10 mL of syrup. Lower doses of 75 mg are available as well. Zantac 25 EFFERdose Oral and Zantac 150 EFFERdose Oral are dissolved in water and then taken as a drink. Prescription Zantac is used to treat conditions associated with excess stomach acid including gastric ulcers, duodenal ulcers, erosive esophagitis, Zollinger-Ellison syndrome, pathological hypersecretory conditions and gastroesophageal reflux disease (GERD). Over-the-counter Zantac can be purchased to treat acid indigestion, heartburn and sour stomach. Zantac decreases overall stomach acid levels throughout the day and helps control acid levels immediately after a meal. Zantac is approved for both adults and children as young as 1 month old. Consult a healthcare professional before giving Zantac to a child.